Searching for the ultimate hair styling aid? One product to replace the five it's taking you to create your current look You've been looking for AEROGEL. It's a hair spray in a gel base. It works as a fixative, gel spray and root lifter all in one. AEROGEL turns every design idea into natural looking reality! The individual who most needs body in their hair could never use body building products... Everything was too heavy for fine and ultra-fine hair, until now! AERO BODY INFUSION goes on while the hair is still damp. You simply mist the product over the hair from about 12 inches away. As you begin to blow dry, the volume of hair doubles, but you can't find the product in the hair. AERO BODY INFUSION came about from research for smaller and smaller resins to hold hair in place, similar to the resins used to add body to hair. The breakthrough occurred when we found a way to apply these resins to wet hair in an aerosol format. The aerosol application allows for the lightest layer of body enhancers imaginable. 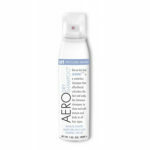 Aero Dry Shampoo is a waterless cleanser that refreshes the hair and scalp. Use this product on dry hair to absorb oil and boost volume. It instantly revives hair giving you fuller, more voluminous hair that has body and movement. Aero Dry Shampoo blends effortlessly with your natural color and will not leave any residue in the hair. 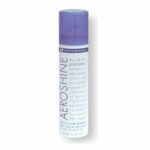 Aero Heat Shield is a keratin-enchanced, heat-activated styling spray and thermal protectant. It is an essential aid for anyone who regularly uses tools such as blow dryers, round brushes, and irons as part of their normal styling regimen. Shiny, radiant hair is both beautiful and has a healthy appearance... We all want it, and with AEROSHINE, it's right at your fingertips. 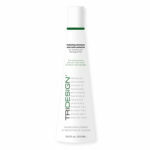 TRIDESIGN Daily Hydrating Conditioner with Color Protector is a rinse-out moisturizing conditioner that repairs hair as it restores shine; enhancing your hair's manageability while potecting hair color to insure vibrant, longer lasting color. Formulated for daily use on all hair types. Daily Hydrating Conditioner relies on Structural Balance's Seek and Repair technology to target weakened areas of the hair and deliver moisturizers, conditioners and strengtheners right where they're needed most, without weighing hair down. Unlike other daily conditioners, it bonds essential natural ingredients to these weak and damaged areas, creating a new, ideally balanced hair structure. A built-in multifunctional, Heat-activated, Thermal Protector seals the cuticle, locking in beneficial ingredients and enhancing shine, while shielding the hair against damage from heat styling while protecting hair color from fading. Keratin Amino Intense Repair is the ultimate in serious professional hair repair. It is a meticulously balanced formulation of hydrolyzed keratin protein, amino acids, essential fatty acids, and organic coconut oil. These micro-nutrients penetrate deep inside the hair and bond with the keratin structure to instantly revive distressed, dry, brittle hair. An extreme conditioner for your hair's ultimate health. The convenient TRIDESIGN Leave-in Reconstructor spray instantly repairs, strengthens, detangles and moisturizes without weighing hair down or interfering with styling aids. 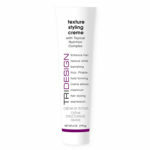 TRIDESIGN Leave-in Reconstructor contains our exclusive Seek and Repair technology that delivers moisturizers, conditioners and strengtheners right where they're needed most. Unlike other daily conditioners, it bonds essential ingredients to weak and damaged areas, so they become part of the hair's new, ideally balanced structure. A built-in multifunctional, Heat-activated, Thermal Protector seals the cuticle, locking in beneficial ingredients and enhancing shine, while shielding the hair against damage from heat styling while protecting hair color from fading. Moisturizing Conditioner with TNC (Topical Nutrition Complex) is a rich blend of hydrolized wheat protein, Kiwi extract and other botanicals, and is recommended for any hair that needs moisture. Moisturizing Conditioner effortlessly detangles dry unruly hair and works instantly to restore moisture balance and lost proteins resulting from chemical services and thermal styling tools. 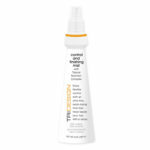 A natural sunscreen is also included to inhibit UV damage and hair color fading. Hydrolyzed wheat protein penetrates to the inner layers of the hair, where it is drawn to damaged areas in and along the hair shaft to provide strength and permanent conditioning. Rich in botanicals and essential fatty acids, this formulation revitalizes brittle limp hair and adds reflective shine, body, and flexibility to all hair types with dramatic results on color treated, sun damaged, or chemically treated hair. It has a pleasantly light fragrance that won't linger in the hair afterward so there is no conflict with your own personal scent. When used with Moisturizing Shampoo it becomes an ideal hair care system. Unific Daily Conditioner with TNC (Topical Nutrition Complex) is a rinse out moisturizing conditioner that repairs, strengthens and rehydrates the hair. Although it may be used daily on all hair types this product is formulated to control the loss of strength and moisture when used on natural hair. It is known everywhere as “the minty, green stuff", because of the cooling, tingling sensation experienced when the product is applied to the hair. This stimulating, moisturizing treatment brings blood to the surface of the scalp to nourish and cleanse hair follicles, and align the cuticle layer of the hair. By infusing the hair with hydrolyzed marine collagen protein and other essential moisturizers, resilience and elasticity are greatly increased resulting in healthy, shiny, and easy to manage hair. A multi-use product Unific Daily Coniditioner is not only a great hair conditioner, it may also be used as a shave cream and provides cooling relief from sunburn and curling iron mishaps. This multiplicity makes it a perfect vacation companion when partnered with Ecollagen Shampoo. Unific Energy Moisturizer with TNC (Topical Nutrition Complex) is a rinse out moisturizing conditioner that repairs, strengthens and rehydrates the hair. Although it may be used daily on all hair types this product is formulated to control the loss of strength and moisture when used on natural hair. It is known everywhere as “the minty, green stuff", because of the cooling, tingling sensation experienced when the product is applied to the hair. This stimulating, moisturizing treatment brings blood to the surface of the scalp to nourish and cleanse hair follicles, and align the cuticle layer of the hair. By infusing the hair with hydrolyzed marine collagen protein and other essential moisturizers, resilience and elasticity are greatly increased resulting in healthy, shiny, and easy to manage hair. A multi-use product Unific Energy Moisturizer is not only a great hair conditioner, it may also be used as a shave cream and provides cooling relief from sunburn and curling iron mishaps. This multiplicity makes it a perfect vacation companion when partnered with Ecollagen Shampoo. A lightweight styling and finishing foam that adds weightless control and flexible support, to all types of hair. People who need extra body as well as those who have full thick hair will love it because it creates volume, and adds shine and fullness. It allows complete control of your hair without the stickiness or dulling effects of traditional mousse. To insure quality, Fashion Styling Mousse was developed only after consulting with professional stylists to find out what they thought early mousse styling aids were doing right and more importantly what they were doing wrong. We then formulated an easy application Fashion Styling Mousse .The improvements included are these; we created foam that will hold up until it is applied to the hair instead of dripping through your fingers. We discovered a way to keep mousse from drying the hair by using a much lower alcohol content than other mousse, yet it still dries very quickly .The amount of resins used is reduced so it will not flake or dull the hair. To complete this formulation we added a light non-lingering fragrance and a sunscreen to protect the hair from harmful UV rays that can cause hair color to fade. Sculpt, style or blow dry, while you add texture, body and control. 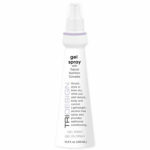 Lightweight, alcohol-free spray also provides additional conditioning. Light and strong, our TRIDESIGN Sculpture Styling Gel is a professional stylist's favorite, and it's guaranteed not to flake in your hair. If your style requires real structure, then only our exclusively formulated and salon-tested gel will do. Enjoy flexible control with an ultra-fine, quick-drying mist that never leaves your hair stiff or sticky. This Product CANNOT Be Sold In The Following States: CA, CT, DE, IL, MA, MD, ME, MI, NH, NJ, NY, OH, PA, RI, VA, VT, and Washington D.C.
Clarifying shampoo is an excellent purifying shampoo for use on every hair type to remove product buildup and other impurities. Professional stylists use Clarifying Shampoo to prepare the hair for haircolor and other salon services to insure the best results possible. Gentle cleansers and chelating agents remove product buildup, and environmental pollutants such as mineral deposits from hard water, chlorine from swimming pools in addition to other pollutants such as trace metals from motor vehicle emissions. Clarifying Shampoo does all this while leaving the natural protective layer of the hair intact. It generally assumed that a purifying shampoo has to be harsh in order to remove product build up and other impurities but the way chelating agents in Clarifying Shampoo work is to surround these impurities and gently float them off the surface of the hair, this action allows it to be color safe and gentle enough for daily use, or whenever your hair needs deep cleansing. 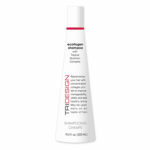 Ecollogen shampoo is a gentle but effective shampoo for the whole family. May be used daily on all types of hair to improve manageability, vitality and add healthy shine. Although safe and effective on all hair types, Ecollogen shampoo is recommended for natural hair. This concentrated shampoo moisturizes and repairs the hair utilizing hydrolyzed marine collagen protein to strengthen damaged hair, and reduce split ends. Collagen protein is a natural humectant, (moisturizing ingredient) that bonds to damaged areas along and within the hair shaft becoming part of the hair structure. Hair is left stronger, more lustrous and moisturized. Ecollogen Shampoo has a pleasant, clean fragrance that won't linger in the hair. The moisturizing and strengthening characteristics of Ecollagen Shampoo also make it a great body wash that leaves skin soft and nourished, with no residue. This dual purpose shampoo and body wash comes in a TSA friendly travel size making it a perfect travel companion especially when teamed with Unific Daily Conditioner. 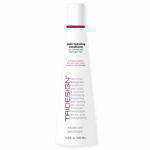 TRIDESIGN Hydrating Shampoo and Color Protectors is a unique reparative, daily-use shampoo that is scientifically formulated to repair hair and maintain hair color at the microscopic level, insuring longer lasting more vibrant color. As it cleanses, this Sulfate-Free formula is non abrasive to hair or hair color allowing the Sunflower Extract(contained in all Structural Balance products), combined with powerful antioxidants vitamin C and E to protect hair color from the sun's UV rays, eliminating a major contributor in making hair color fade. Hydrating Shampoo and Color Protector contains patent-pending Seek and Repair technology that delivers an extra potent boost of targeted natural ingredients right where they're needed most to prevent the dryness and breakage that can occur when hair is chemically stressed. Key ingredients bond in place, balancing inconsistencies in the hair restoring it to optimum health. An exclusive blend of jojoba extract, panthenol vitamin B5, marine collagen protein, and neutral henna. This unique formulation may be used daily on all hair types; however it was designed to add exceptional body to the finest hair without weighing it down. This is accomplished by actually increasing the thickness of each individual hair. A gift of nature, Jojoba extract is harvested from a desert shrub and is one of nature’s most useful hair care ingredients. Jojoba has been used as a hair conditioner by Native Americans of the desert southwest for centuries. It is one of the secrets of Jojoba Shampoo’s unmatched ability to increase body and luster in the hair. Chemically similar to sebum (the natural protective oil produced by the scalp). Jojoba is a naturally pH balanced substance that helps restore the hairs acid mantle (a protective layer of sebum on the hair). May be used daily without risking a "rebound effect" caused by the over production of sebum, a very common result of oily hair treatments that over cleanse the scalp actually contributing to an oily condition. 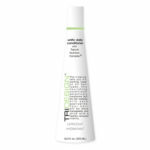 Gentle cleansing removes dirt and debris without stripping the hair of its natural protective oils or fading hair color. This exclusive, body building formulation, leaves the hair smoother, stronger and velvety soft, with greatly enhanced body and shine. Nourishes, protects and maintains hair health with Kiwi fruit, vitamins, antioxidants, proteins and the essential nutrients. A non- aerosol spray on volumizer that also has the conditioning effect of a leave in conditioner. Although it is suitable for all hair types, its body building effect is especially suited to add body to fine limp hair. 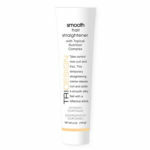 Use on damp hair before blow drying and your hair will feel like it has doubled in volume. This formulation has the perfect balance of hydrolyzed marine collagen protein and Panthenol that adds protein and actually becomes part of the hair, giving it a full bodied healthy texture and increased shine. It doubles the volume of fine limp hair in a very unique way. Hydrolyzed collagen protein and other body building elements attach to and surround the outside of the hair increasing the size of the individual strands, while Panthenol a B5 vitamin expands the diameter of each hair resulting in a substantial increase in body. The results are immediate and the difference in the texture of your hair will be obvious. It has a light pleasant fragrance that won’t linger after its job is done, and the hair is left feeling clean, healthy and well conditioned. Not for Sale in California.